For the first time in history, two adaptive athletes pushed their limits to the most inhospitable place on the planet – the South Pole. The chosen date marked the 100th anniversary when Captain Robert Falcon Scott’s Terra Nova expedition reached the earth’s most remote spot. 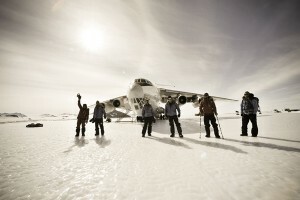 The expedition included two adaptive athletes: Grant Korgan, an avid snowmobiler, skier, world-class kayaker, adventurer, nanomechanics professional and husband, whom fractured his L1-vertebrae on March 5, 2010, while snowmobiling in the Sierra backcountry, along with John Davis, a two-time Paralympic gold medalist. Both Davis and Korgan are adaptive athletes with spinal cord injuries. The team was led by Doug Stoup – the world’s most traveled explorer to the North and South Poles – along with seasoned guide, Tal Fletcher. 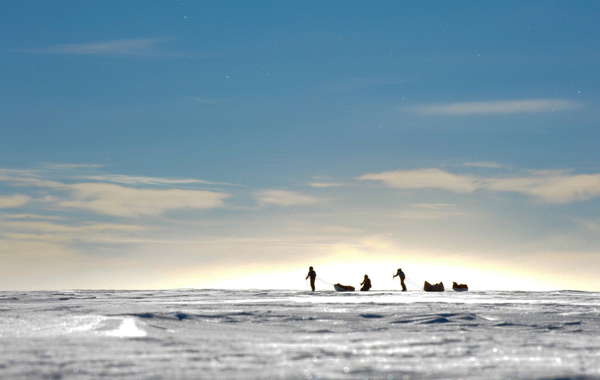 Davis and Korgan have demonstrated through this expedition – as they literally pushed themselves 100 miles across the frozen Antarctic landscape – the capacity of the human spirit to overcome life-altering injuries. Perhaps more importantly, the team hopes to have inspired people in all walks of life to help others achieve the seemingly insurmountable, to push their own everyday limits, and to live up to their ultimate potential.